The EU, China, and the U.S. need to step up their support of counter-piracy operations in the Gulf of Guinea amid a scourge of attacks and kidnappings in the region, international shipping association BIMCO said Wednesday. Around 40 ships have been attacked in the Gulf of Guinea in the past 12 months. Most recently, six seafarers were kidnapped from the MSC Mandy, which was on the way to Lagos, Nigeria. BIMCO called piracy in the Gulf of Guinea an unacceptable burden to seafarers and shipping companies, BIMCO said in a press release. For this reason, BIMCO is asking on behalf of its members that maritime powers increase their presence and expand their collaboration with local states to curb piracy. In the 2013 Yaoundé Code of Conduct, states in the Gulf of Guinea recognized that piracy constituted an issue and initiated several initiatives to strengthen maritime security. The Yaoundé Code of Conduct was inspired by the United Nations’ Security Council Resolution 2018 (2011) and 2039 (2012) and contains several initiatives to strengthen maritime security in the Gulf of Guinea. 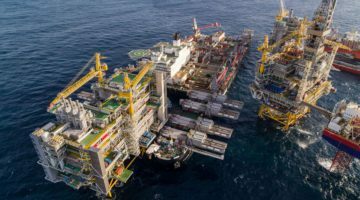 Several capacity building initiatives have been started in the region since the Yaoundé Code of Conduct was agreed, but the actual security situation in the Gulf of Guinea is still not good, BIMCO says. Terrorist threats on land also generate a high demand for law enforcement resources, presenting a challenge in responding to the situation. In addition to the strain put on seafarers, the current situation negatively impacts the economic potential of the sea of the countries in the region, according to BIMCO. BIMCO suggest that international sea and air law enforcement assets, including naval ships with helicopters, would be beneficial in combating piracy in the region. If such assets were supported by onboard regional law enforcement officials, BIMCO says the operations could be conducted without infringing on the regional states’ sovereignty. “While longer-term capacity building efforts are commended, what is needed now is substantially more assets at sea and in the air. It is an obvious solution which can deliver the necessary effect with the desired speed, without compromising the territorial integrity of the countries in the region,” Larsen says.